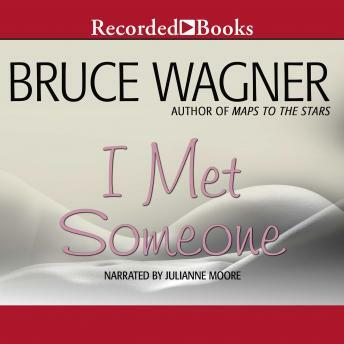 An emotional thriller by novelist Bruce Wagner, I Met Someone is the story of a fictional Hollywood marriage on the precipice of disaster-and an enthralling meditation on the world in which we live. Bruce Wagner's I Met Someone is the story of Oscar award-winning actress Dusty Wilding, her wife Allegra, a long-lost daughter, and the unspeakable secret hidden beneath the glamor of their lavish, carefully calibrated, celebrity life. After Allegra suffers a miscarriage, Dusty embarks on a search for the daughter she lost at age sixteen and uncovers the answer to a question that has haunted for decades. With riveting suspense, Wagner moves between the perspectives of his characters, revealing their individual trauma and the uncanny connections to each other's past lives. I Met Someone sends the reader down a rabbit hole of the human psyche, with Wagner's remarkable insights into our collective obsession with great wealth and fame, and surprises with unimaginable plot turns and unexpected fate. Alternately tender, shocking, and poetic, I Met Someone is Wagner's most captivating and affecting novel yet.